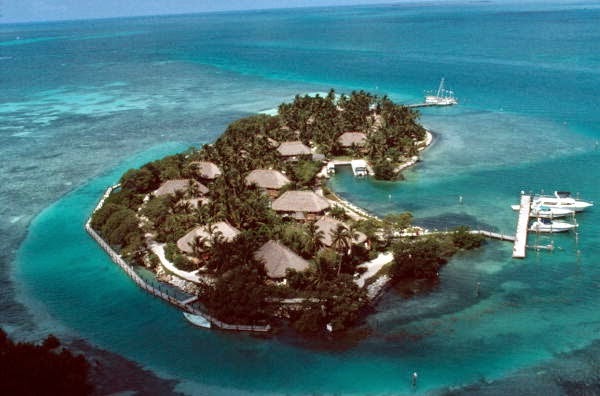 Visit the enchanting Little Palm Island and book your stay across WhataHotel! and enjoying Exclusive Complimentary Perks for a remarkable stay. This incredible getaway is so remote that it is only reachable via boat or sea-plane. Situated off the coast of the famed Florida Keys, guests can discover over two decades of exceptional service that has captivated high profile celebrities, world leaders and the travel savvy. Travel to what many believe is Florida's most secluded and romantic retreat for a unforgettable and luxurious adventure. 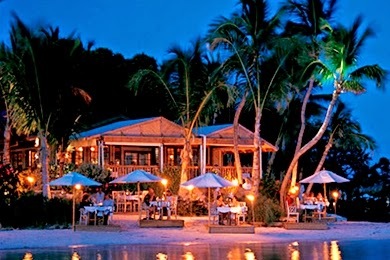 Little Palm Island is a gorgeous resort with idyllic white sand beaches, adorable thatched-roof bungalows and towering palm trees. 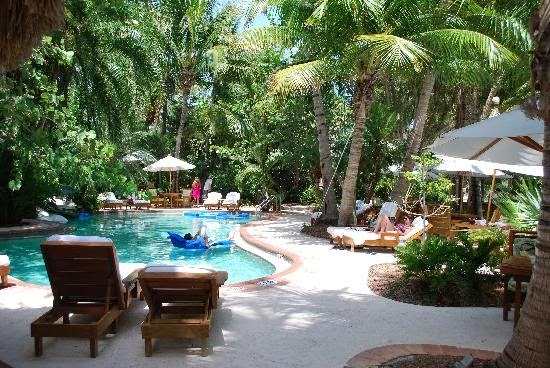 The private, almost 6-acre, island in the Keys boasts some great activities for those that really want some excitement, while those looking to relax can savor a luxurious spa treatment, lay on a lounger by the ocean or chill by the pool. Other phenomenal amenities found here include a contemporary island boutique, a quiet library, loads of water sports, a marina for boat lovers, and of course pristine beaches that will coax you toward the water's edge. 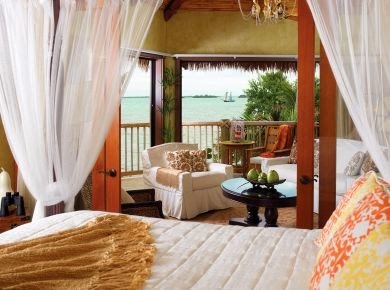 Step foot inside your island bungalow and you will recognize the chic tropical decor, custom-made beds with romantic netting, and luxe amenities. While guests can find a fantastic shower just outside their bungalow, they will not find a telephone, a television or even a guest under the age of 16. Distractions are kept at a minimum to ensure your rest and relaxation while here. Elegant and delicious meals are served up either in the candle-lit dining room, the terrace that overlooks the beach or at tables scattered on the pretty beach. Crushed shell pathways, the sound of songbirds singing and the quiet calm of the ocean breezes are found in abundance on Little Palm Island. When booking your travel to Little Palm Island across WhataHotel!, guests can revel in Exclusive Complimentary Perks for a magnificent deal. These perks include a full gourmet breakfast for two daily, a $100 resort credit and a lovely bottle of champagne. If you are searching for a vacation that will allow you to truly relax, a place that is paradise on Earth, this magical island oasis awaits your arrival. Little Palm Island and WhataHotel! would love to create the perfect travel plans to one of the Best Hotels in Florida.